1) This approach implies that Putin is all-powerful and does not have to take other people or powers into account. 2) It overlooks the role of Russian public opinion. Contrary to the western MSM propaganda, Russia is not a dictatorship or even some special sort of authoritarian regime. I would even argue that Russia is far more democratic than most western regimes, especially if real pluralism and diversity is the criterion by which "democracy" is measured (there can be no possible denial that Russia is infinitely more democratic than the USA which is neither a democracy nor a republic, but a dictatorship run by and for the 1% plutocracy which keeps the 99% in a conditional similar to modern version of feudal serfdom). True - Putin has succeeded in concentrating most of state power in his hands, but he is far from having the control of most economic power in Russia, nor is the bureaucracy he rules over monolithic: there are powerful clans and lobbies inside it fighting for power, including the pro-Western "Atlantic Integrationists". One of such powerful lobbies is the Russian military. "Some hotheads are in favor of sending our armed forces into the territory of South-Eastern Ukraine, where there is a war taking place. We cannot allow this. We cannot send out troops into the territory of People's Republics of Donbass and Lugansk, which are unrecognized republics and which are part of another country - Ukraine. Such reckless actions could lead to a third world war." Now Iazov is hardly a softie or a pot-smoking peacenik. In fact, Iazov was not only the last Minister of Defense and Marshal of the USSR up until 1991, he also a member of the GKChP or State Committee on the State of Emergency which tried to overthrow Gorbachev in the 1991 coup. We are talking about a man who fought during WWII and who later rose through the ranks to become a Candidate Member of the Soviet Politburo. In other words, a pure product of the Soviet era, a sincere and dedicated Communist, and a man who remembers the wars in Afghanistan and Nagorno-Karabach. 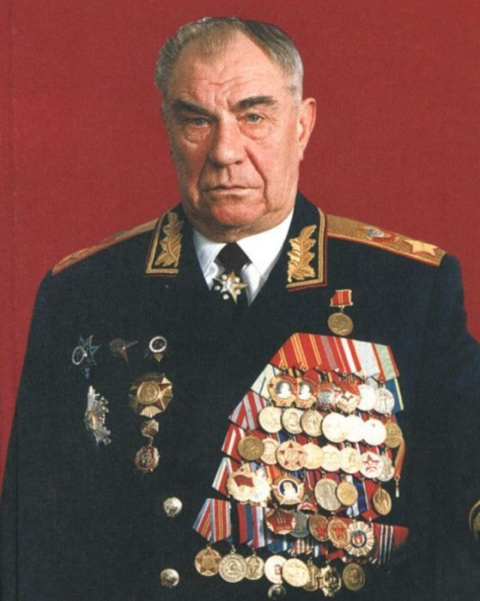 Just look at this guy's mug - he is a typical Soviet tough guy. And yet, this putative "hardliner", is clearly categorically opposed to any deployment of Russian troops in Novorussia. Not only that, but his reason for doing so is that he clearly considers that Novorussia is still legally part of the Ukraine and that such legal categories really matter. I would say that this is interesting, to say the least. Question: Marshal Yazov is against the deployment of Russian forces in the Ukraine. How do you react to his words? Amazing no? Almost 2/3rds of the readers of Vzgliad oppose an intervention. And, believe me, it is not the pathetic Ukie army which matters here. Everybody in Russia knows that the full power of the "Glorious And Invincible Ukrainian Army - Glory to the Ukraine, to the Heroes Glory!!" is barely enough to fire massive artillery salvos at the poor and sick civilians of Slaviansk and Kramatorsk who did not have the means to leave. The Ukie army is despised and loathed for what it does, but not feared. Nobody, and I really nobody, has ever made the case that the Ukies could even offer a modicum of resistance against the Russian military. And now that the Ukies have massed their entire military inside the "Novorussian sack" it can easily be enveloped and destroyed. No, the problem is not one of "victory versus defeat", but one of "does Russia want such a victory?" What people in the West fail to fully understand, by no fault of theirs, considering the kind of 'informaton' they are fed by the corporate media, is that the Russian people do not want Russia to become yet another empire or a Soviet Union v2 (these theories are just Hillary and Zbig projecting their own, ugly, motivations on Russia). Most Russians want Russia to be a prosperous and powerful country, yes, but a regular country, not a global power with USA-like "world police" functions. I am not saying that Iazov is right (or wrong, for that matter), all I am saying that the views in Russia about the merits (or lack thereof) on a direct and open intervention in Novorussia are far more complex and nuanced that the views of those who post simple black and white comments about why Russia "has to" intervene "now". To them I am saying that even Russian "hardliners" (not that this terms really has any meaning) take a much more nuanced views than some armchair strategists in the West.